Inflatable Party Magic LLC concessions are sure to be the hit at your next party! You can add a sno-cone machine to cool you down in the summer. A popcorn, or cotton candy machine can add excitement, flavor, and a wonderful aroma to your party. 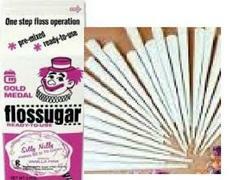 You can even use cotton candy or popcorn in place of a goody bags. Frozen Drink Machines add a hit to kids' parties for slushies or to adult parties for the perfect alcoholic beverage (you must supply your own alcohol). All of our machines are commercial machines and will do a large output if needed. We offer additional supplies for all of our machines for an additional fee. We do not see supplies for the machines unless you do a machine rental with us also. Machines are delivered at n extra cost if you rent them with other rental equipment and your order totals $100 or more. 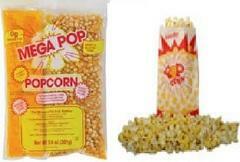 Our Popcorn and Cotton Candy concession machines come with the supplies to serve 75 servings. Additional supplies can be purchased for an additional charge. 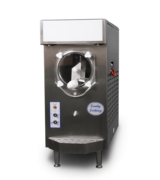 Sno-Cone Machines are rented without supplies. Supplies are sold separately. There are serving different options and flavors available. Frozen Drink Machines are rented without supplies, but supplies can be purchased separately. 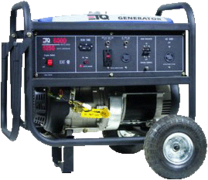 We also offer generators in case your are running short on electricity. If you are planning to use a generator for inflatables, our generators will run up to 4 blowers on each generator. This does not mean it will run 4 inflatables as some inflatables take more than one blower. Generator rentals will include a full tank of gas, which will normally run a generator 4-5 hours depending on how much power you are running on the generator. Any additional gas needed will need to be supplied by you. They take regular unleaded fuel. We do not deliver machines without inflatable rentals, but they can be picked up alone if you choose customer pickup.